SUMMER CHURCH CAMP LETTER-STARTS HERE! 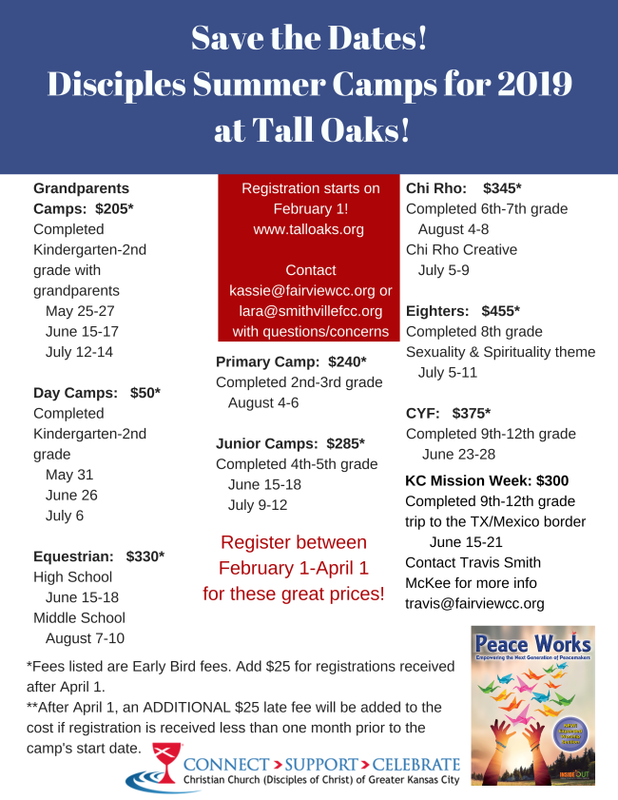 sUMMER CHURCH CAMPS-WHO? WHEN? COST? EARLY BIRD DEADLINE FOR CAMPS HAS BEEN EXTENDED UNTIL APRIL 15TH! !